WHAT ARE CLANDESTINE DRUG LAB STANDARDS? “Contaminant” means a chemical residue resulting from the manufacturing, storage, processing or use of methamphetamine. “Illegal drug laboratory (clandestine drug laboratory)” means the areas where controlled substances have been manufactured, processed, cooked, disposed of, used, or stored and all proximate areas that are likely to be contaminated as a result of the manufacturing, processing, cooking, disposal, use, or storage. "Professional industrial hygienist" is a person possessing either a baccalaureate degree in engineering, chemistry, or physics or a baccalaureate degree in a closely related biological or physical science from an accredited college or university, who also has a minimum of three years of industrial hygiene experience. “Assessment” is an evaluation of a property to determine the current condition, including the nature and extent of observable or detectable contamination, chemical storage, and disposal. "Contaminated property" means real property (home, apartment, motel/hotel, condominium), vehicle, mobile home or watercraft that has been identified by a law enforcement agency as having been used for the illegal manufacture of a controlled substance or has been proven by assessment to be contaminated. “Sampling” means the process of collecting measurements of a subset of a population to estimate the characteristics of the whole population. “Screening level sampling” means an assessment of a property for the purpose of determining whether it is a methamphetamine-affected property. "Discrete Sample” is one sample collected from a single, defined area or media at a given time and location. “Composite sample” means a sample comprised of multiple samples collected from separate locations. "Validated" proven that something is based on truth or fact, or is acceptable. “Confirmation sampling” means collecting samples during a preliminary assessment or upon completion of decontamination activities to confirm that contamination is below the decontamination standards outlined by state regulation. 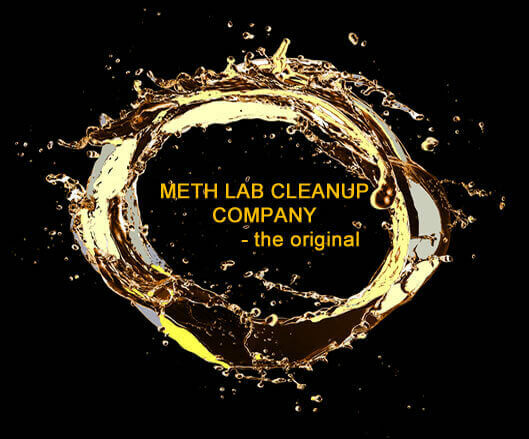 “Decontamination (remediation)” means the process of reducing the level of contamination at meth production or use properties to the standards specified by state regulations. "Certification" or "certify" means the act of stating the facts about the inspection of a contaminated property stating in writing that the facts are true and accurate.